Extinguishers – they’ve come a long way! 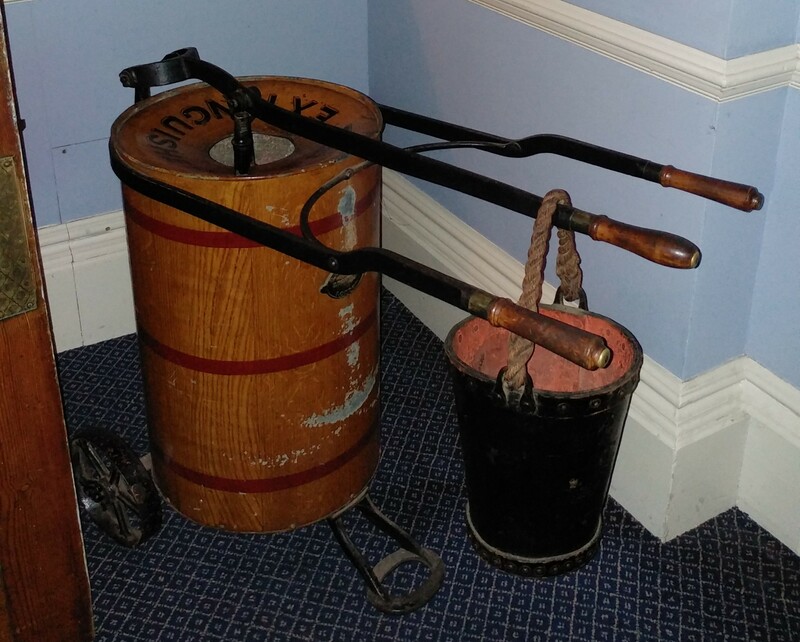 This Victorian example of a fire fighting trolley certainly looks the part in one of Britain’s most famous castles even if it wouldn’t be particularly effective if you needed to put out a fire! Interestingly, the first patent for a pressurised fire extinguisher was taken out as long ago as 1818 and was the forerunner of the portable extinguishers we use today. It consisted of a water-filled copper container that was pressurised with air. These days, extinguishers are either stored-pressure (where the whole extinguisher body is air-pressurised) or, less commonly, gas-cartridge operated (where the pressure is stored in a small CO2 cartridge inside the extinguisher until use) Most modern fire extinguishers are red, but if this really doesn’t suit the decor in your ‘castle’, you can choose from gold, silver or brushed copper – very superior! The latest development in fire extinguishers is the self-service unit, which does away with the necessity of specialist annual maintenance – ideal for extinguishers in vehicles, flats or other difficult to access areas. Contact us for advice on fire extinguishers – supply, installation or maintenance – we’re here to help!